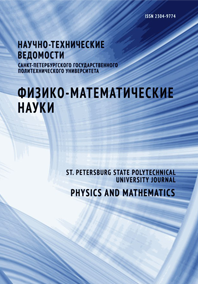 Gorobei Natalia N. Luk'yanenko Alexander S. Svintsov Mikhail V.
A toy quantum model of the inflationary universe is considered in which the role of cosmic time is played by the inflaton scalar field (its logarithm). Based on a variant of the positive energy theorem in General Relativity for the case of a closed universe, a strictly positive energy of space is introduced. The principle of minimum of the energy of space is proposed which determines a ground state as well as the excited states of the universe in quantum cosmology. According to this principle, the Beginning of the universe does exist as a state of minimal excitation of the energy of space. The initial proto-inflation quantum state of the universe is defined as a state of minimal excitation of the energy of space provided that the potential energy of the inflaton scalar field is large at the Beginning. Simultaneously, quanta of space energy excitation are introduced and the expansion of the universe can be considered as the birth of these quanta. Quantum birth of the ordinary matter becomes significant when the potential energy of the inflaton scalar field comes down to zero value.